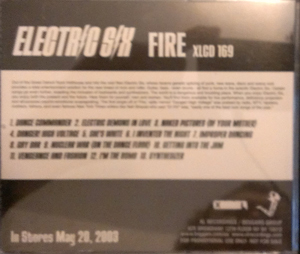 Fire is a 2003 album by Electric SIx. Produced by Damien Mendis and Stuart Bradbury for Soulchild (www.soulchild.net). Arranged by Electric Six, except ‘Gay Bar’ arranged by Electric Six with Soulchild. 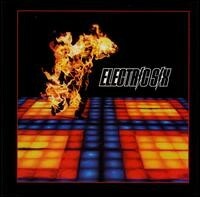 Mixed by Stuart Bradbury and Damien Mendis at Olympic Studios, London, England, with Electric Six. Recorded at White Room Studios in beautiful downtown Detroit and Abbey Road Studios, London, England. Recording and mix engineer: Stuart Bradbury. Track 4 Written by Joe Frezza, Steve Nawara, Anthony Selph and Tyler Spencer.